Rubber Room Ramblings: MORE FLOWER GARDEN FUN! 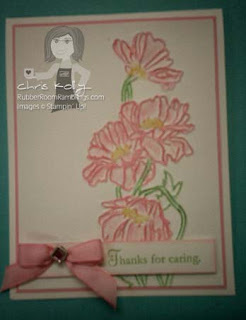 Here is a card "That Michelle" and I made with the Flower Garden Embossing Folder. We added color to the embossed image using a blender pen and ink! ORDER YOUR EMBOSSING FOLDER HERE!